Very nice PE work on those doorways. Really like the work on the open doorway. I have this kit and really am interested on how she goes together. 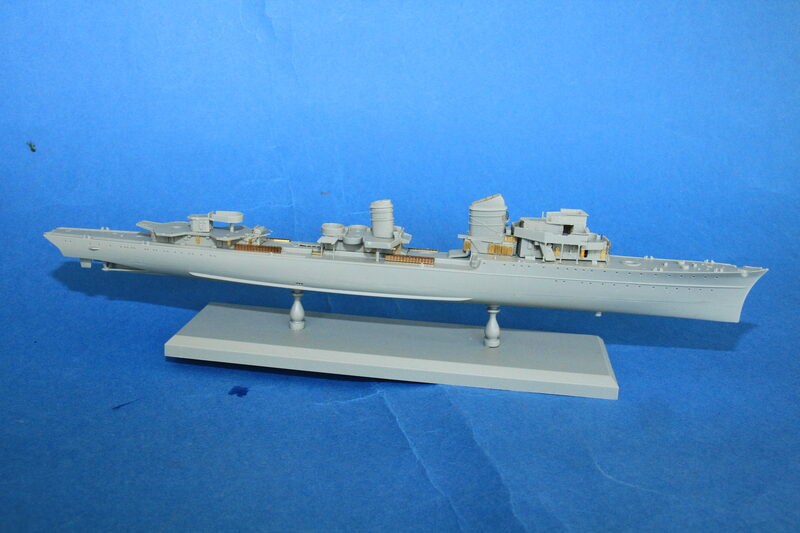 I am still having nightmares over the Dragon Scharnhorst kit I did last year. 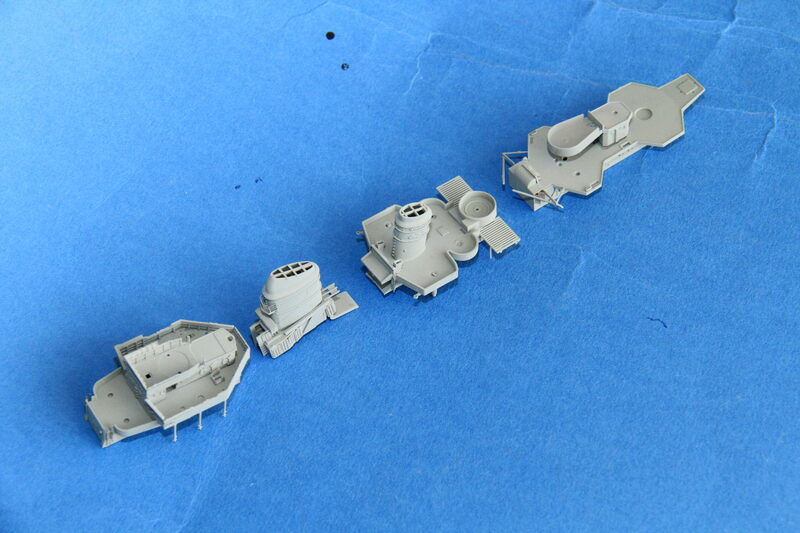 Here is a update on my IJA Type 4 tank. She is all assembled and ready for paint. Some items won't be attached until after painting. Here are a few progress photos. Will update photos when she is painted. So far so good on Z39, no real issues with the fit, or the engineering, just the usual confusing Dragon instructions. 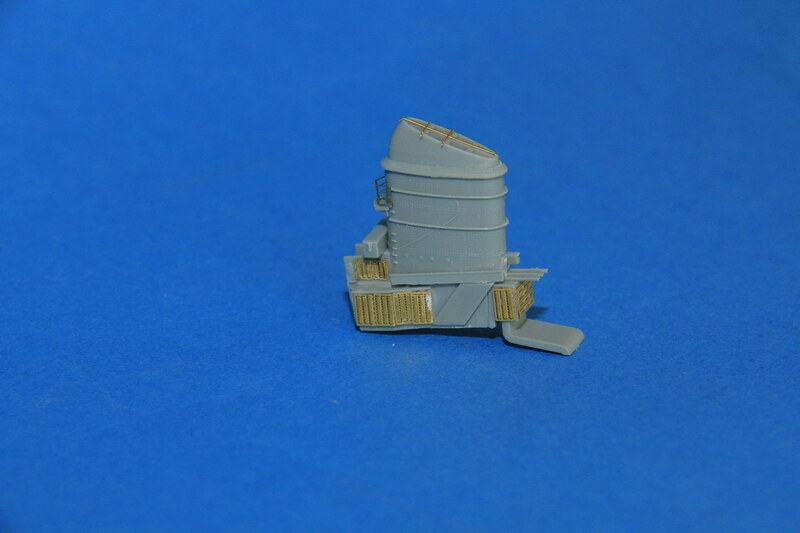 The etched vents on the fore funnel. The midships deck house complete with after funnel and etched vents. 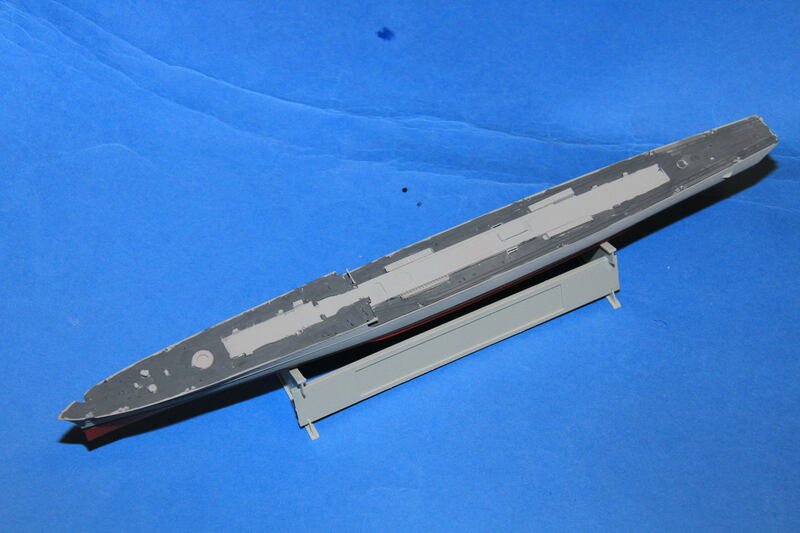 The after superstructure, along with the upper gun platform, that is just test fitted. 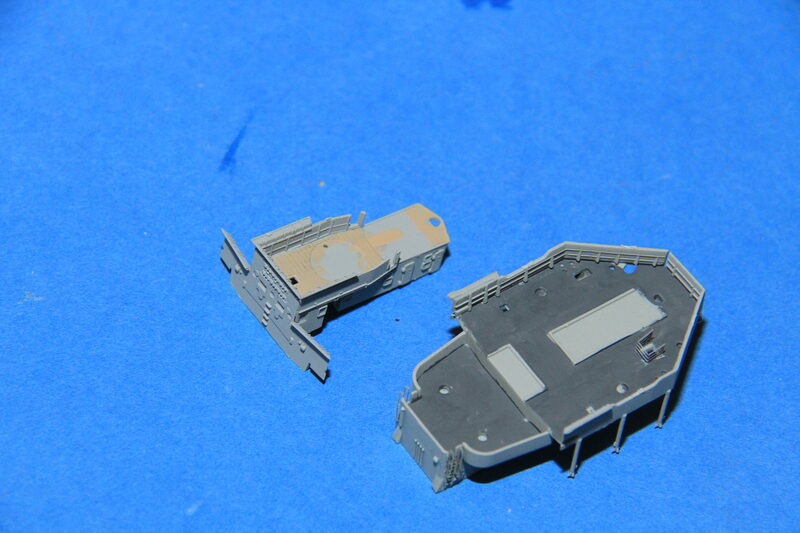 All sub assemblies in place, a couple of sections need a bit more work before spray time. The hull on the other hand, gets a coat of anti fouling red. Decided to go with the Schwere Heeres Panzerjager, Abteilung 560 option. The wavy rotbrun patten has been applied. Nice paint job, did you apply the waves freehand? Really nice work with the PE and assembly, looks like you are making great progress. To bad about the instructions but it is a Dragon kit. 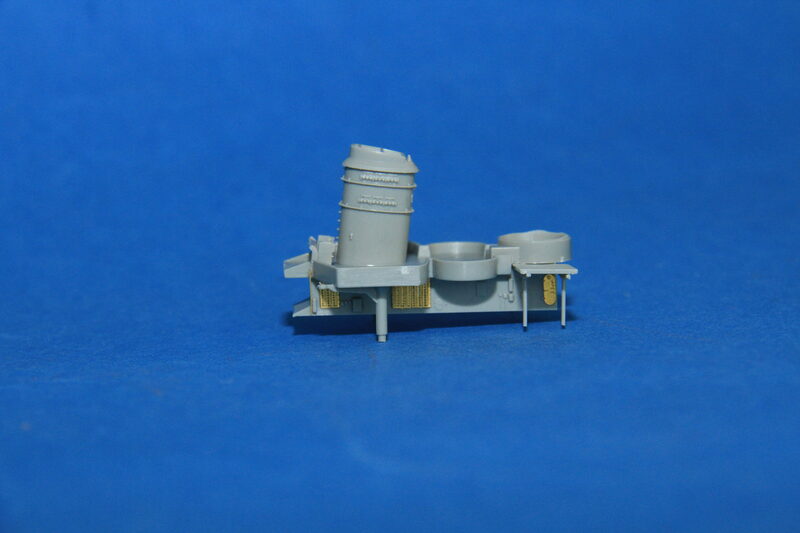 I hope you don't end up with parts that need to be installed but the instructions left them out, like in the Scharnhorst kit. Thanks Mark. Yes, I did apply freehand. I'm not a big fan of using masks. I prefer "artistic license" when spraying cammo patterns. I agree with you about the license. Very nice free hand work. So far so good, the instructions are part of the "Charm" of Dragon, know what you mean about the Scharnhorst, that did test my knowledge of naughty words. Thanks. 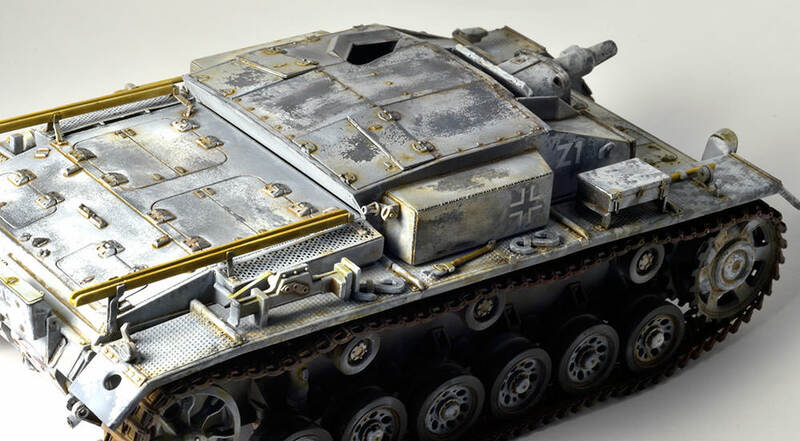 Your Stug looks great. Looking forward to seeing it finished. Small update.... White wash completed. The lower hull masked off. 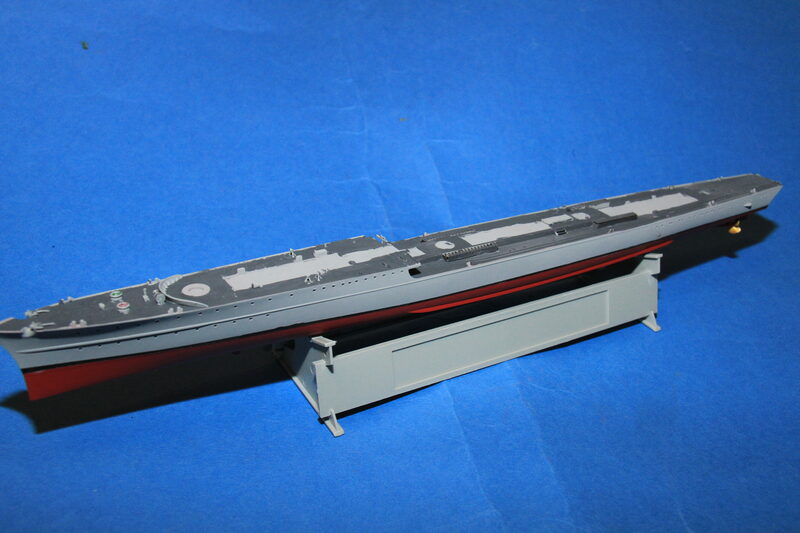 and the upper hull sprayed light grey. The superstructure units sprayed light grey. 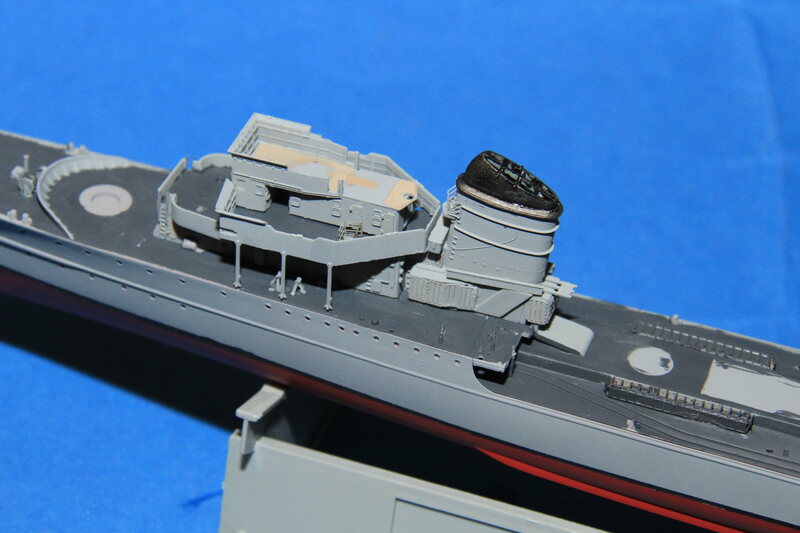 The boot topping and deck painted in and all the masking removed. and the props painted and fitted. 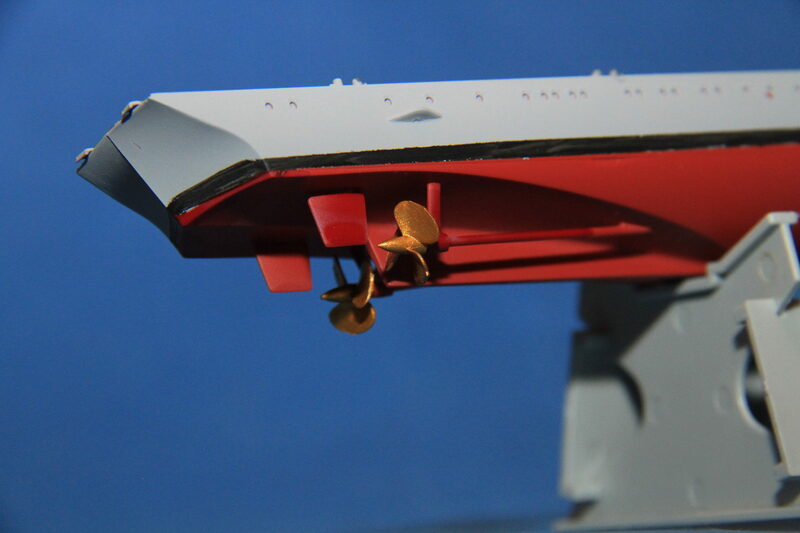 The boot topping needs a little work around the stern still, but that is a simple tidy up. Boot straps around the stern are always a pain to get right the first time. I find a round stern the worst to get right. Made a bit more progress. Decals have been applied. Quality of these Dragon decals is not very good. I've got a bunch of Friulmodel tracks on order. Once I receive it, I'll be able to build the tracks. Congratulations. It gets very well. I will follow with interest the further progress. This is a machine I like and half a year ago I assembled it, except in winter camouflage. Good luck. 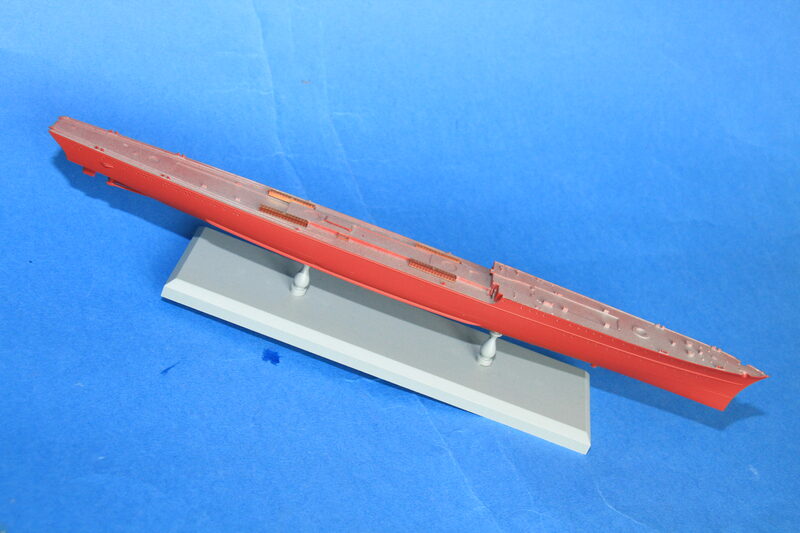 I sealed the paint with TS-79 (semi-gloss) as that is what I have available here. The decals were applied and left to dry overnight. Then I sprayed another coat of TS-79 to seal them. I'll do some light weathering then seal everything again with AK ultra matte varnish. I agree rounded sterns can be "real fun". On with maindeck details next. While waiting for my tracks to arrive, I decided to give the vehicle a light dusting with AK 4062 (Light Dust Deposit). I'll add just a little more weathering, but not a lot. Small progress on Z39 today. Detail parts going on the fo'c's'le. The kit only provides etched cable, I will dig some spare chain out from somewhere. 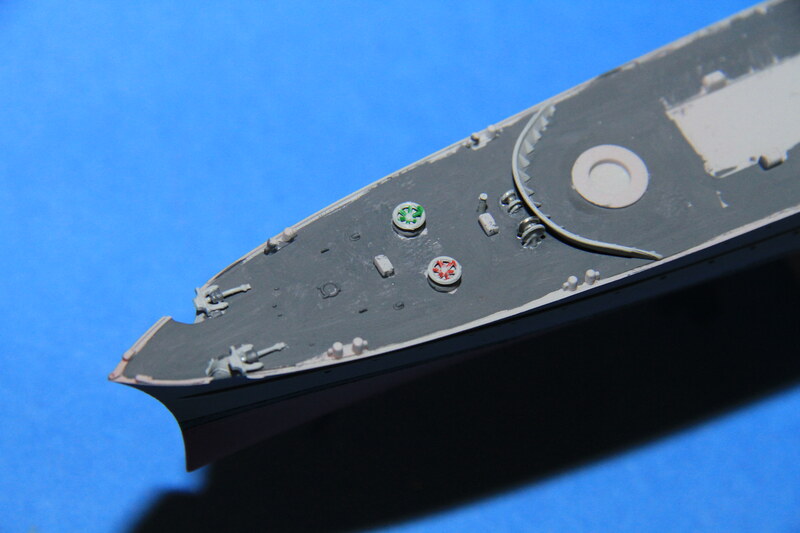 The sides of the maindeck superstructure base and the torpedo reload boxes painted dark grey, the tubes will be dark grey as well. 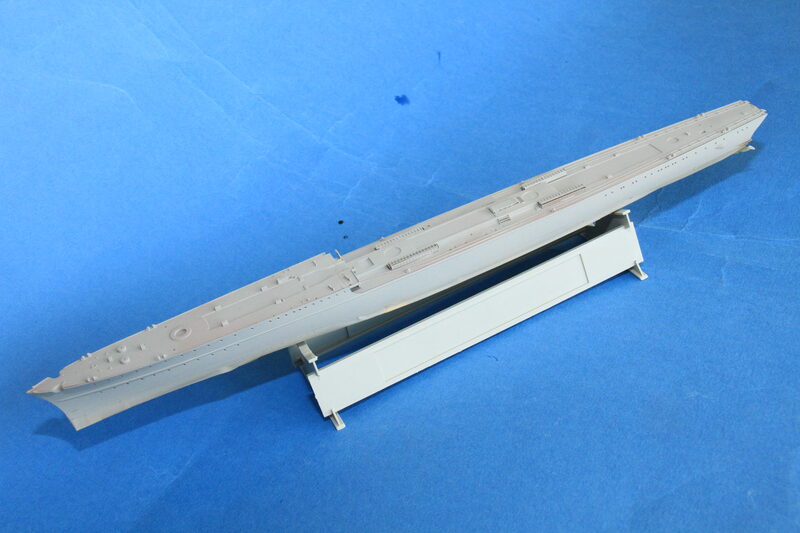 the decks of the bridge structure base coated, the planked upper bridge needs a wash or two yet. 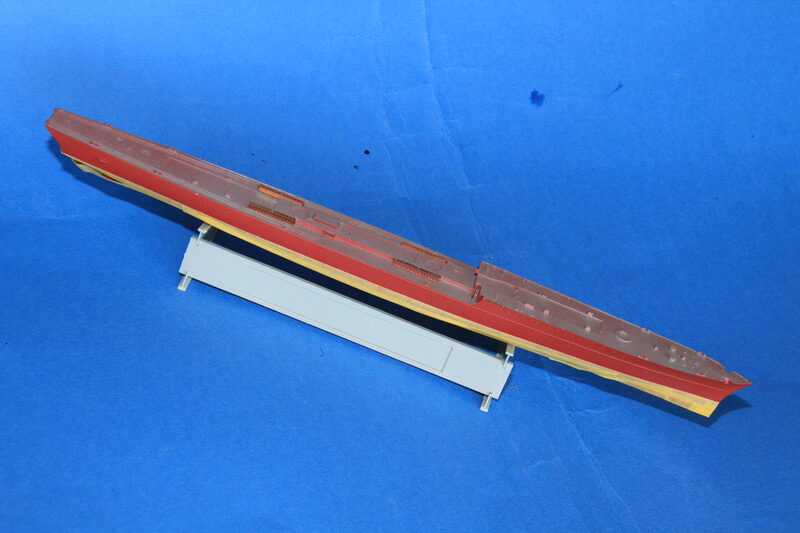 The forebridge and fore funnel test fittd in place, the funnel has it's rear section sides painted dark grey and the cap painted a steel colour and washed with black. Might need a bit work yet, that funnel cap. Nice progress. It always seems that with ships you can spent hours on an assembly and it looks like little was accomplished. Then one day it all come together and it will look very smart.